At Metropolitan Design/Build we replace and install gutters on homes throughout the Maryland, DC, and Virginia area. 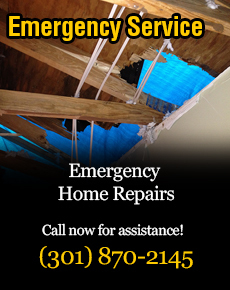 We are a licensed, bonded, and insured home improvement contractor. Our expert craftsmen can repair and or install new seamless gutters on your home. If you need a qualified gutter company, we are the contractor for you. We provide free estimates and have competitive pricing. We install everything from seamless gutters and leaf guards, to rain barrels and cisterns. We pride ourselves in providing prompt, reliable, and professional rain gutter services to all our customers. The fact that Metropolitan Design/Build is a leading roofing company further lends our ability to assist homeowners with installations of seamless gutter systems. Having water move off your roof and away from your house is absolutely key to avoiding costly damage to your homes structure. 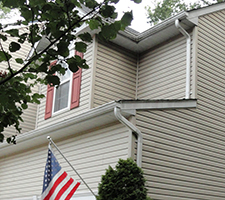 We understand the importance and the critical function of a well-planned gutter system. We are able to ensure that water runoff of your home’s roof is performed efficiently and effectively. Gutters and downspouts need to be the right size to properly allow water to run off and away from your home. We have experience dealing with seamless aluminum and copper gutters and can help you determine which type is the correct for your home’s water runoff needs.